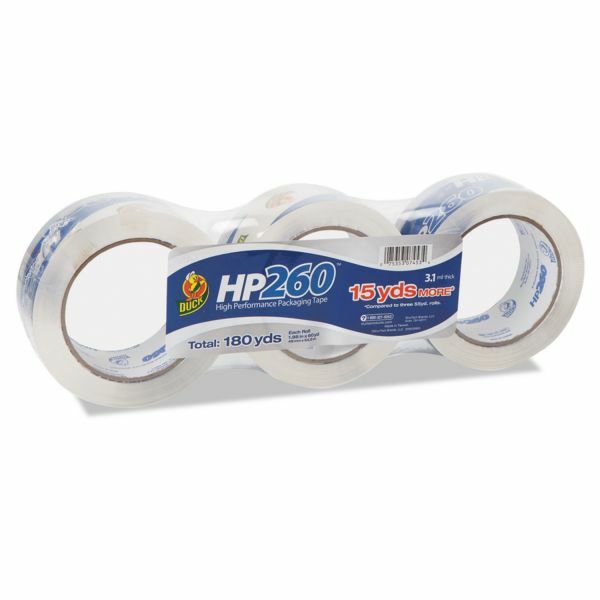 High-performance tape features aggressive acrylic adhesive superior for wide temperature range application. Seals cartons for shipping and storage plus protects labels. Note: A minimum quantity of 36 must be ordered, and in units of 12 thereafter. Duck Carton Sealing Tape 1.88" x 60yds, 3" Core, Clear, 3/Pack - HP260 commercial, high-performance tape meets the demands of heavy-duty box shipping and long-term storage applications. Ideal for all types of mailing, shipping and storage applications as well as label protection. 3.1 mil thick packaging tape meets all U.S. Postal regulations. Temperature endurance ranges from 14 degrees Fahrenheit to 140 degrees Fahrenheit.  Acrylic adhesive provides ultraviolet-resistance that eliminates yellowing and substantially increases shelf life. Tape has a 3 core."